Jersey-headquarted trust company Zedra has expanded into the US with a new Miami office and the addition of another senior hire at the firm. Tomás Alonso, (pictured below left), has joined the independently-owned trust organisation as managing director of Zedra Corporate Services Inc., working from its new Miami office. Alonso’s appointment follows on from what has already been a busy year for movements within the company with, as reported, the recent hire of a new managing director for its London office and the appointment of two new business heads in Singapore and Jersey. In a statement announcing the move, Zedra said that Alonso will come on board to “increase and build the group’s market presence and raise awareness in North and Latin America” as well as support sales and representative needs for Zedra’s corporate, funds and private clients. He will also be responsible for developing and overseeing the business growth opportunities across North and Latin America. Alonso, (left), brings more than 20 years of experience in management and business development in the corporate and financial service industry, with previous MD roles based in Miami. Niels Nielsen, Zedra CEO said that Alonso’s global network and industry knowledge will be “fundamental” as the company develops its business in the region. With approximately 500 staff worldwide based in 14 global offices, Zedra is one of the fastest growing trust and corporate fund services providers. 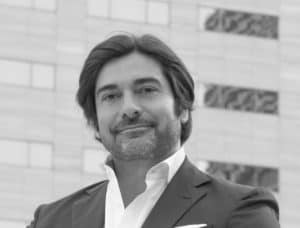 Alonso’s previous experience includes working for such distinguished law firms as Garrigues & Andersen in Spain, as well the offices of Arthur Andersen and Deloitte in Miami. Prior to his role at Zedra, he worked as the head of corporate clients – Americas of Amicorp at their Miami office, having previously served as managing director of Amicorp US from 2004 – 2013. He is also a member of the Madrid Bar Association and of the International Bar Association, as well as the Society of Trust and Estate Practitioners (STEP). “North and Latin America is an important area for us and a presence in Miami further reassures ZEDRA’s confidence in this fast-developing region,” added Nielsen.